Emma perhaps defines the ethos of this big day best in her description of her wedding theme – ‘an English country garden meets art deco glamour kind of affair‘ and it really is folks. There’s the unrivalled serenity of a midsummer English garden – all lush lawns, Honeysuckle and Lavender – combined with the glitzy sophistication of times gone by…check out the Choo’s and the Jenny Packham ‘Eden’ for starters. And it works. Oh it SO works. I actually really adore this wedding. It’s luxe, it’s glamorous and oh so beautiful and it’s clear that their nearest and dearest had a brilliant time. From the beautiful florals to the dusty shale maids’ dresses, everything has been carefully and lovingly selected. I have a feeling that you’re going to love it too. 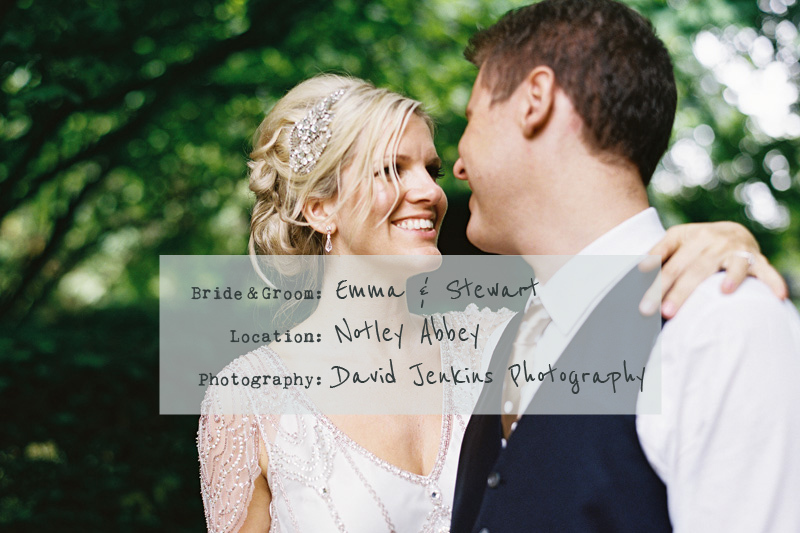 Emma The Bride: When we started to look at venues, Notley Abbey was only the second place we visited but as soon as I arrived I knew it was ‘the one’. Even though it was pouring with rain that day, it was magnificent. There is something truly magical about the Abbey and we both felt so relaxed and at home there. As soon as I heard about the wild parties that used to go on there (Marilyn Monroe was among the guests), I definitely knew we had found our venue. Stewart and I love a party!! My wonderful dad massively helped us out financially so that we were able to book this beautiful venue. 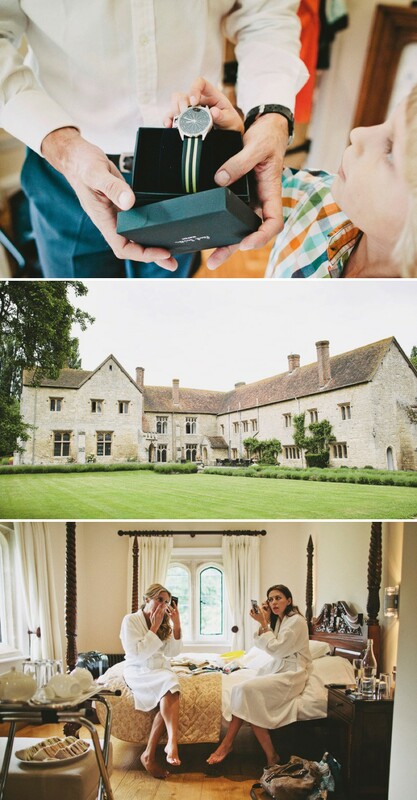 I must thank everyone at Notley Abbey for looking after us all and making the day so special, especially our wedding manager on the day, Lisa, who totally rocked! One of the best decisions I made was to book my hair and make up artist Claire Hanson. She was amazing and her lovely assistant Kirsty helped with my bridesmaids’ hair. I absolutely loved Claire and we had so much fun getting ready. I never really wear make up or get a chance to do my hair with a young baby at home. Claire really did work wonders! I wanted a natural look with my make up and it was perfect. She made me feel beautiful, I can not thank her enough! My perfume was Chanel No5 which was my mum’s favourite scent (and Marilyn’s too apparently). It was a case of first shop, first dress for me. A few of my closest friends had all bought their dresses from Morgan Davies in London so off I went armed with a bridesmaid. The dress was Eden in Platinum by Jenny Packham. Simply stunning. I orginally tried on and ordered the ivory version but that night when I got home I just knew I wanted the platinum. It’s a bit different and much more me with gorgeous sparkly beads and gold sequins. I thought it would fit perfectly with Notley Abbey. Sadly my mum passed away a few years ago and I had always imagined going dress shopping with her but Katie and all the other lovely girls at Morgan Davies made it such a special day. I took my dad along for my final fitting and he was in tears, just like mum would have been! Shoes, shoes, shoes. I LOVE shoes. Selfridges Shoe Hall is my Mecca so the only choice for me had to be Jimmy Choos. And they had to be super high and super sparkly. My best friend Celia and I had the best time trying on all the shoes and trying not to buy them all! As the dress was so ornate I wanted to keep the accessories to a minimum. I thought Jenny Packham would know best so I took myself off to the JP accesories shop. OMG that place is AMAZE! I could have bought everything but I was good and only left with my beautiful head dress and pair of simple drop earrings. So, so beautiful and made to go with my dress. My three best friends, Celia, Emma and Suky were my bridesmaids. They are all stunning girls and I wanted their dresses to be as pretty as they were. A friend of mine suggested J.Crew and I cannot recommend them enough. I wanted a natural, vintage colour and decided on a pale, silvery green colour called ‘Dusty Shale’. I chose three different styles all in the same colour and my girls looked amazing. I was so proud to walk down the aisle after them, although they looked so damn good they almost showed me up haha! I also had my two gorgeous little nieces as flower girls; I bought their dresses from Monsoon and they looked so adorable. Stew’s best man was his brother who lives in Sweden and who Stew misses so much so it was lovely to see them together and having so much fun. He had his 2 best friends as ushers, one of who flew over from Texas for the ceremony and his cousin Mark was Master of Ceremonies. Mark being a school teacher was the best choice to order everyone around and he did a fabulous job. Someone said he was like a bouncer, just what you need! If I had to describe the theme of the wedding I guess it would be an English country garden meets art deco glamour kind of affair. 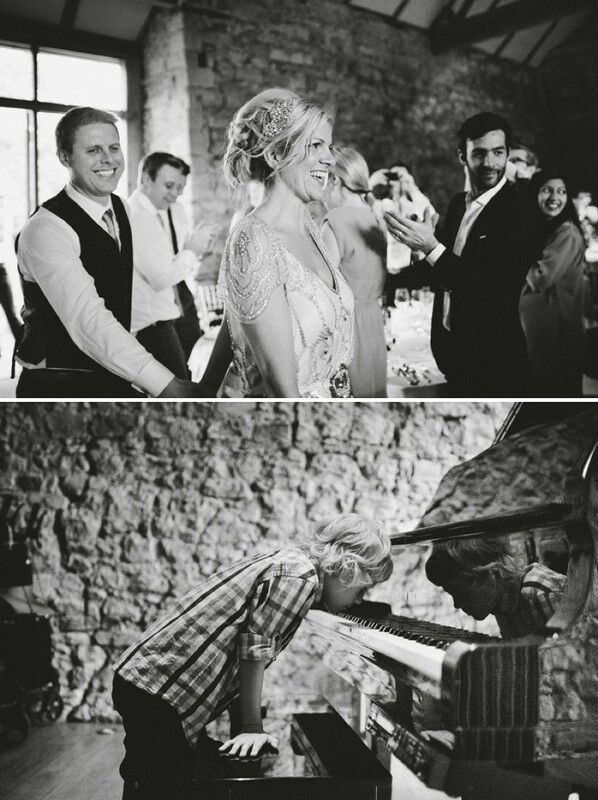 Stew and I are a very laid back couple and with my beautiful baby boy Arthur arriving 9 months before the wedding I never found the time to unleash my inner ‘Bridezilla’ but I hope the lack of organisation made the day feel more like ‘us’ – relaxed and fun. A friend of mine recommended my florist, Robin to me. He was such a lovely guy when I met him that I knew I wanted to use him to do my flowers and I was so glad that I did. They were stunning and exactly what I had in mind. Beautiful summer flowers in pink, pale apricot and white, including my absolute favourite peonies as well as roses and sweet peas. All my bridesmaids had a posy each and my little flower girls had a small posy of sweetpeas to carry. There was an arrangement on each table in the reception with nightlights and the large arrangements in the ceremony and reception rooms were divine. Unfortunately my dad had a bad fall a couple of days before the wedding which meant that he could not give me away as he was in hospital. It was a devastating blow but he wanted everything to go ahead as planned so my lovely big brother Matt stepped in at the last minute. Walking down the aisle and seeing everyone you love all there in one room is the best feeling in the world and it completely lifted me. I was so sad that my dad wasn’t there but lots of my amazing family and friends were. I’m a very lucky girl. Most importantly my amazing husband to be was waiting for me at the end of the aisle and he looked so handsome in his 3 piece Paul Smith suit. I couldn’t wait to get to the end and marry him. Stew is the loveliest, funniest most genuine person you could ever meet. We were friends for two years before we started to grow closer and I think I fell in love with him before we even got together as a couple. He is my soulmate and my best friend, I could not be happier. One of my best school friends, Rachel, read Sonnet 116 by Shakespeare which I love and our amazing friend Debs read a piece from Captain’s Corelli’s Mandolin which just makes me weep and exactly describes how I feel about Stew. Stew’s speech was amazing and had everyone in tears and my brother did an amazing job considering he only had 24 hours to prepare his! As I’ve already said Stew and I love a party and I couldn’t wait to get on the dancefloor. We booked The Somebodys as our band and they were awesome! really cool, young guys, I loved them. Our first dance was to The Stone Roses, She Bangs The Drums. A band and a song we both love. We even went to see them at V festival when I was 37 weeks pregnant, now that’s dedication! I was really looking forward to raving on with my nearest and dearest and we had a ball! I didn’t want the night to end. Notley Abbey provided all the food for the day and everyone commented on how fantastic it was. My very beautiful and talented bridesmaid Suky made my wedding cake. It was made up of lots of cake pops which she had hand made all by herself. Truly amazing and totally yummy. One of my bridesmaids has a very talented boyfriend who is a printer and he made the orders of the day. I wanted them to tie in with the art deco feel and I helped design them. I was very pleased with them and he also printed the table pictures. I chose pictures instead of names and they were all icons past and present including some of the famous guests who had attended the wild parties at Notley Abbey over the years. My favourite table was probably the Kate Moss table. I put all the naughty people on that one! Enjoy having all your favourite people in one place and try and savour each minute of the day as it goes so fast. I wanted to re-live the day again and again. Don’t worry if you feel like you didn’t manage to speak to each and every person for very long; they will see you having the time of your life and go home happy. Your wedding day is all about you and your love. It’s one day, ROCK IT! I personally think that the photgrapher should be one of the most important decisions that you make. I made the perfect choice with David Jenkins. The man is a genius! Not only that, he is an awesome guy who made us feel so relaxed on the day. He was like one of the guests! So important in a photographer but even more important are the photographs and wow, they were stunning. Stew and I were in tears when we saw them and have beautiful memories of the best day of our lives. 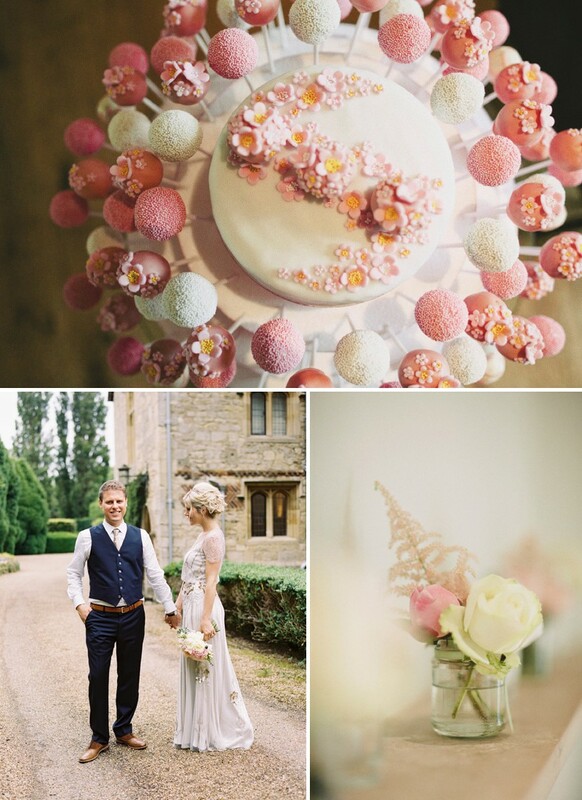 I have to say that I’ve yet to attend a wedding with cakepops of any description so I’m a smidge envious of the flowery pink beauties that graced Emma and Stewart’s big day. 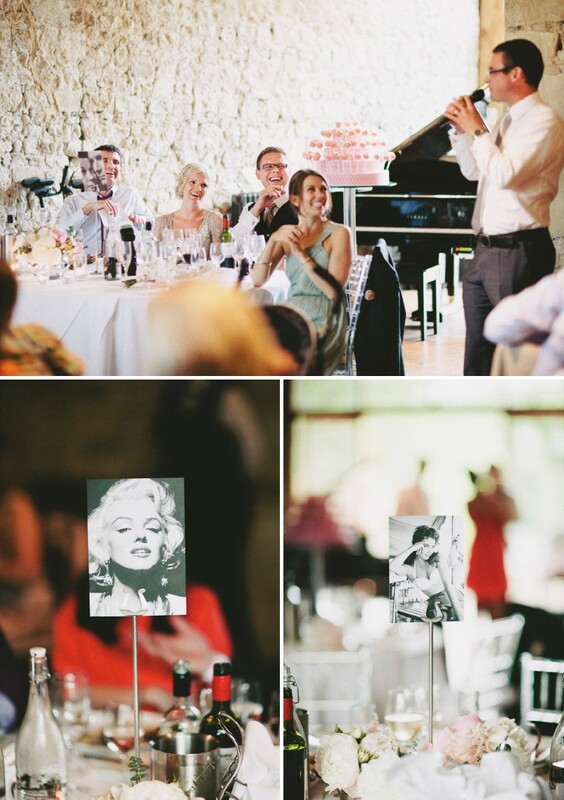 I mean they look awesome don’t they…just like the rest of this gorgeous wedding. 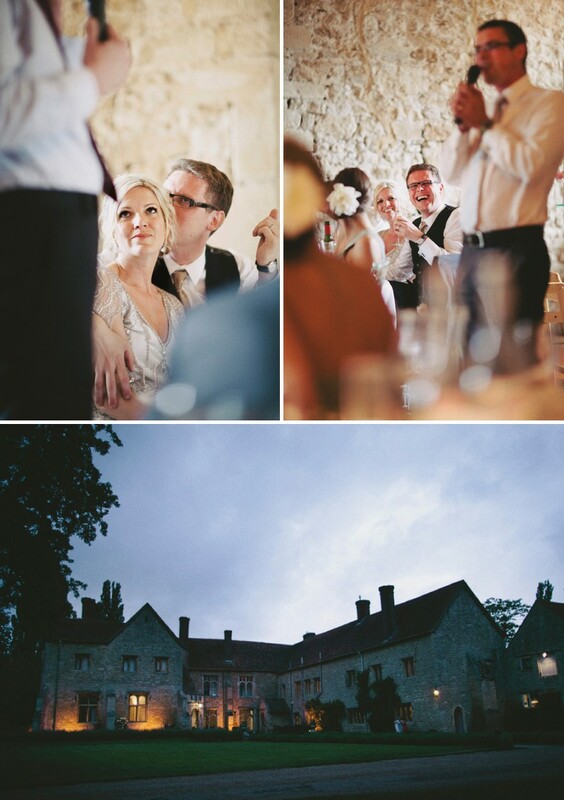 Obviously I am completely biased but Notley Abbey will always be one of my favourite venues. It makes such a beautiful back-drop for such a sophisticated wedding. Thanks for the post guys the wedding looks fantastic, Emma is going to be super pleased. One of her bridesmaids was quizzing me about RMW in the morning… they were huge fans to say the least. 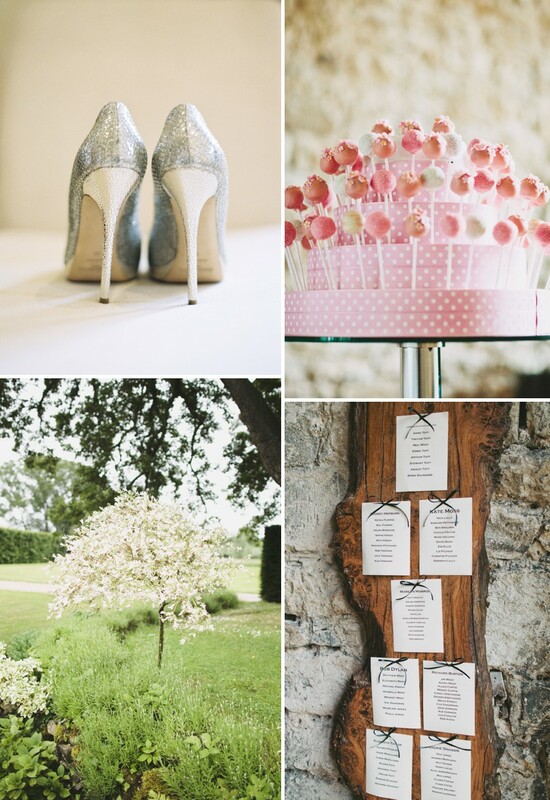 When I saw the title of this post, I thought, ‘please be the Stone Roses as their first dance!’……………………….Yus! Such an awesome song choice, I managed to crowbar it in to our wedding breakfast. I would have loved to have been standing on the edge of that dance circle. I am the bridesmaid and cake pop maker. Please send any requests my way! It was the most fabulous wedding. Wow, I can’t believe Emma had a baby only 9 months earlier!! She looks absolutely incredible. And how special, that he could be at Mummy and Daddy’s wedding. Such a cute little boy. I know 9 months?! Wow. She looks stunning! So wonderful to see Emma and Stewart’s wedding again. A lovely day that we were delighted to host. . thank you for your kind words. We remember your day fondly too @charlotte!